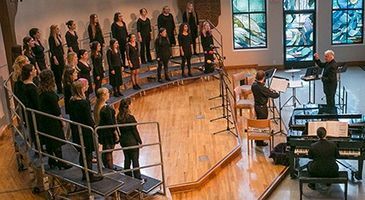 The Cal Lutheran Choir and the Women’s Chorale open the season with one of their hallmark concerts, featuring an eclectic program of exciting and innovative choral music. Wyant Morton conducts. Donations accepted. For information, call the Music Department at (805) 493-3306 or visit CalLutheran.edu/music.